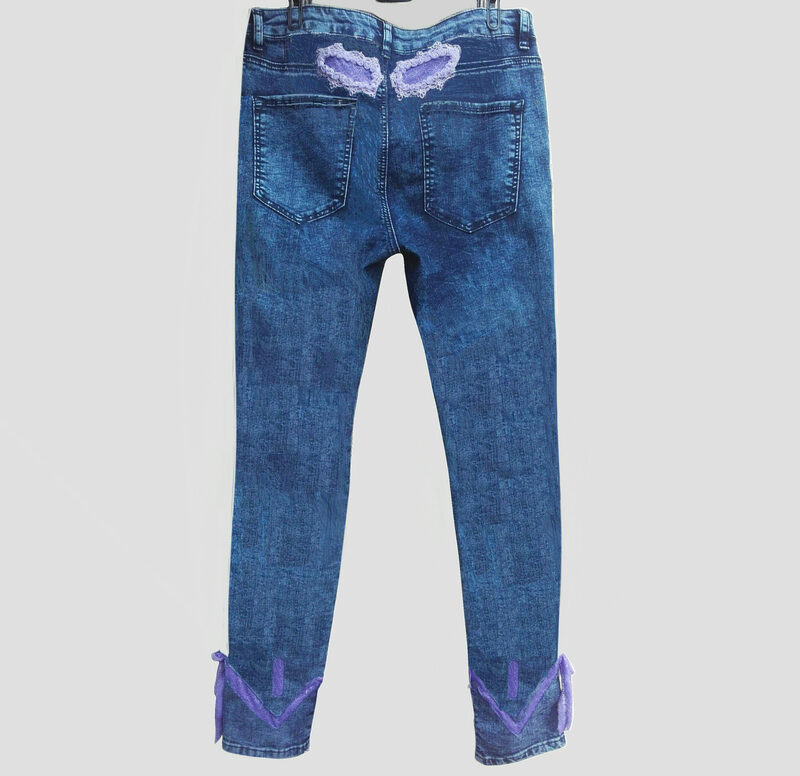 Normal size slim jeans trousers with an angel wing in violet lycra lace with inlaid purple lace and purple lace roses on the entire contour of each wing at the aisne and above each leg . Below is a purple lycra lace in the shape of a large V in front and behind the leg, rising to the level of the calf and extending into a long band of violet lycra lace and going to be attached by a knot on each outer side of the calf. 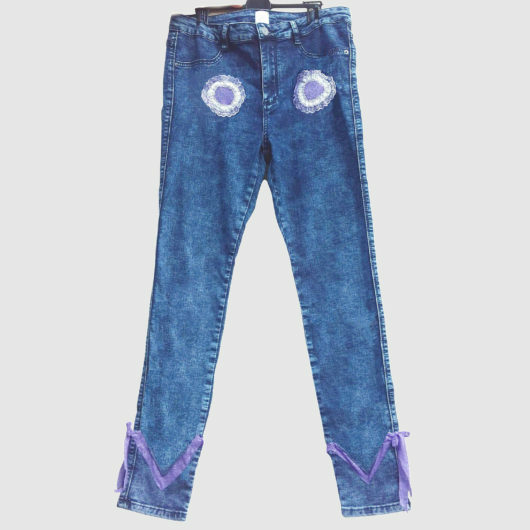 An angel wing in purple lycra lace inlaid on the back of the Jean just above each pocket, with a purple lace in passementerie and mauve roses in lace on all the contour of each wing. Wild West Lady Jeans.3 Limited product !